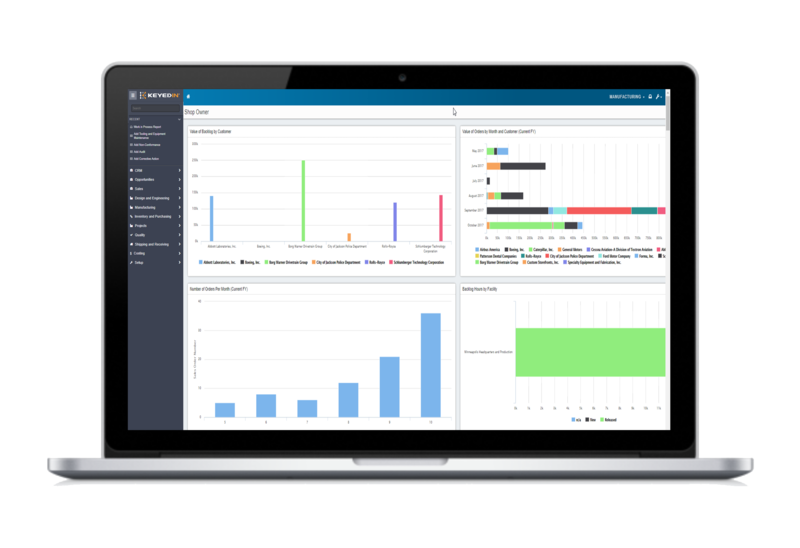 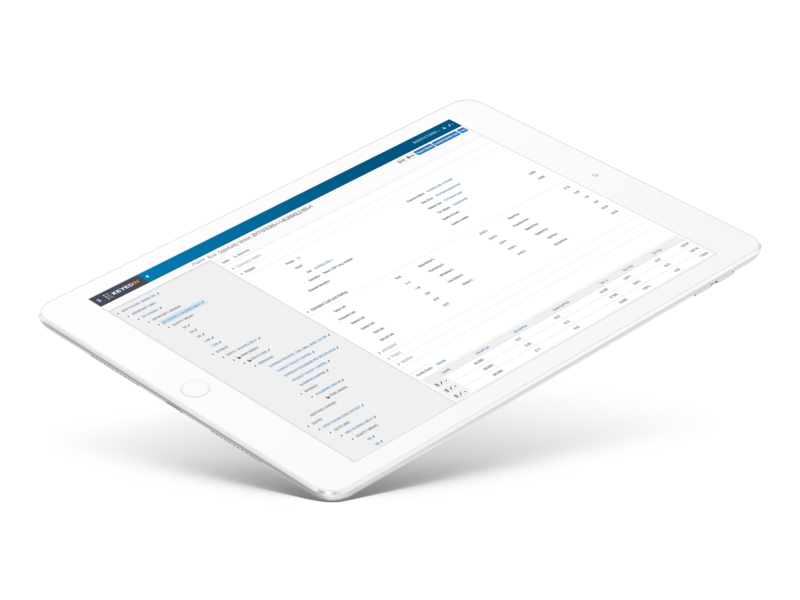 KeyedIn gives manufacturers real-time insights into all their opportunities, including the ability to prioritize the most profitable jobs and manage customers and suppliers more efficiently. 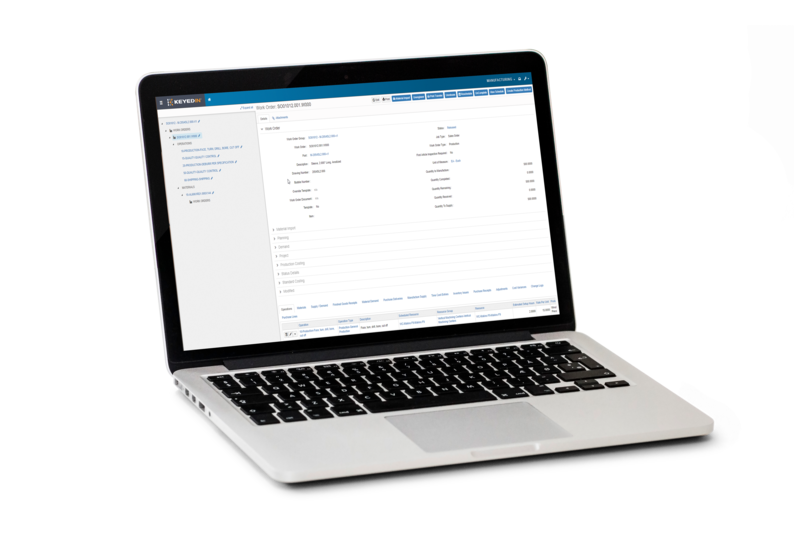 KeyedIn allows manufacturers to easily create estimates for new parts from scratch, improve estimating accuracy by utilizing past work orders, and leverage standard price breaks for repeat customers. 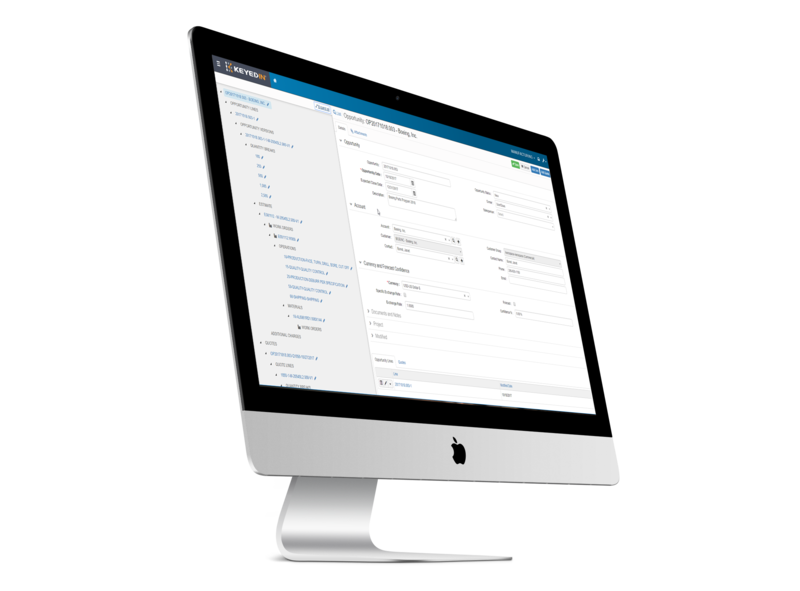 With KeyedIn, manufacturers can easily convert quotes to sales orders without rekeying the data and auto-create work orders for custom jobs. 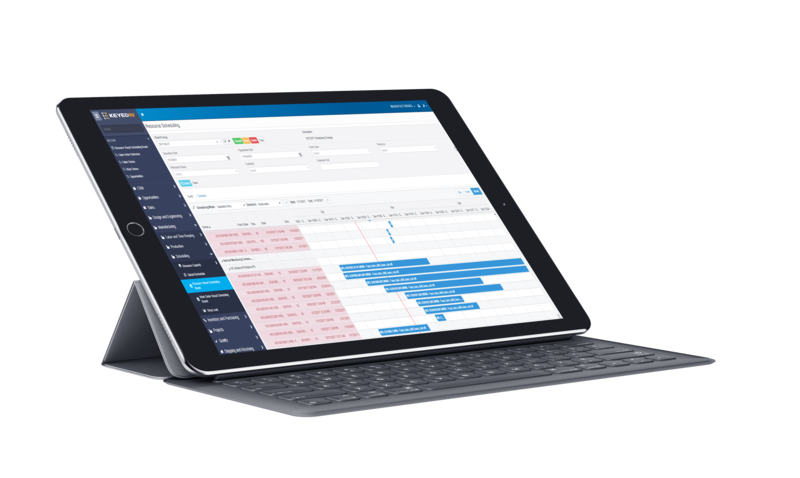 KeyedIn enables you to put the right people on the right project at the right time by giving you a 360-degree view of machine utilization, employee availability, and production capacity. 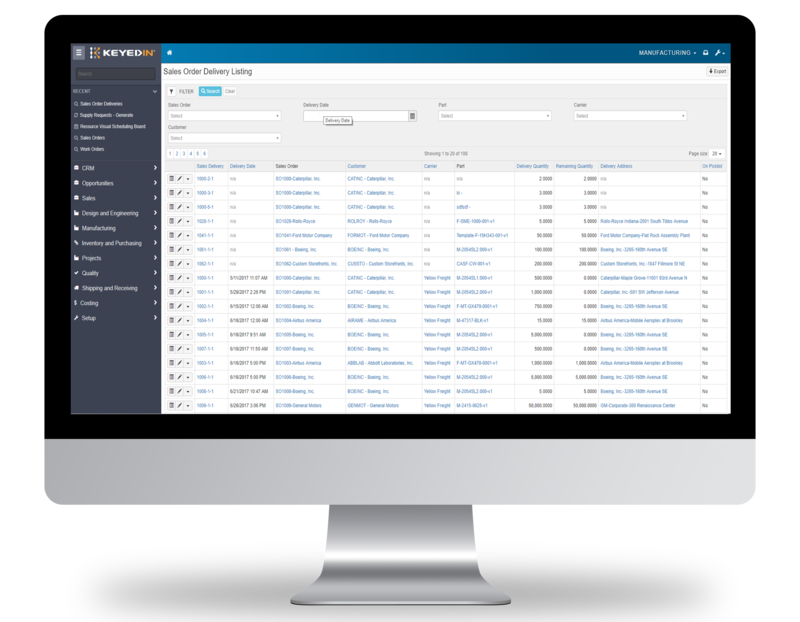 KeyedIn gives manufacturers the tools needed to proactively manage supplier deliveries, track material lots or individual serial numbers, minimize inventory obsolescence, and reduce material expedites. 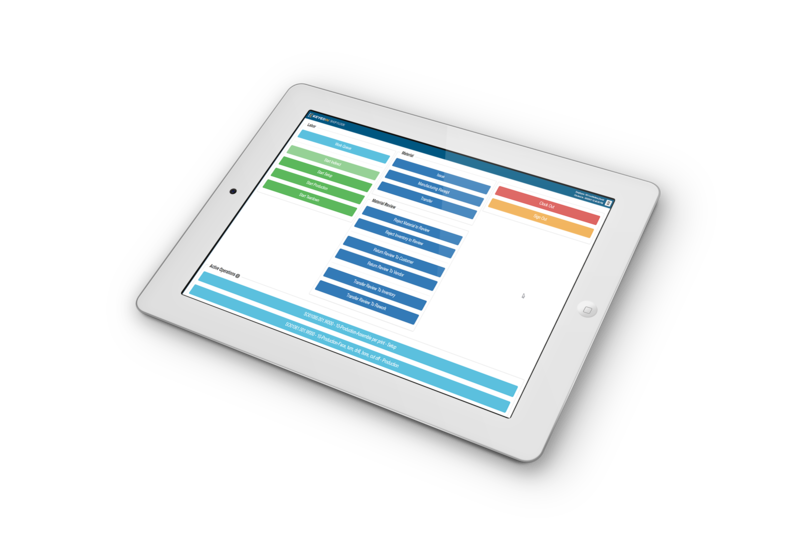 With KeyedIn, manufacturers are able to eliminate manual time cards and collect direct and indirect labor costs in real-time to instantly gain visibility into earned hours, employee efficiency, and machine utilization. 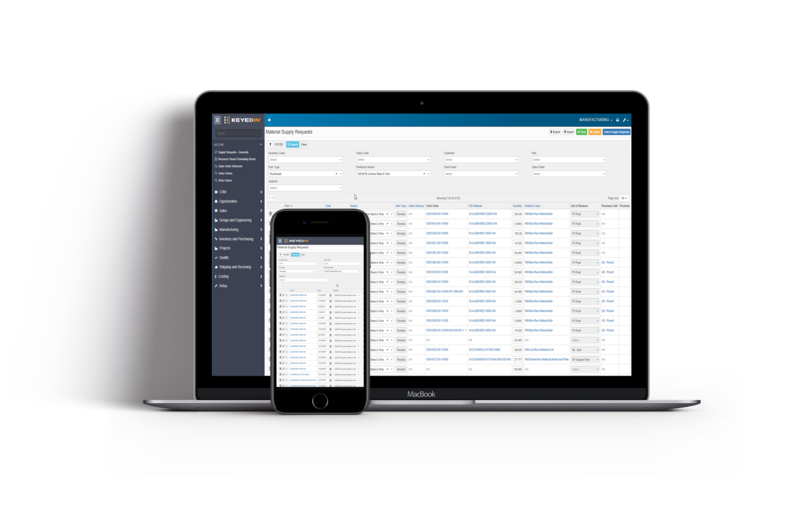 KeyedIn allows manufacturers to integrate with common shipping carriers for more accurate freight charges and tracking information and proactively manage potential late deliveries more effectively. 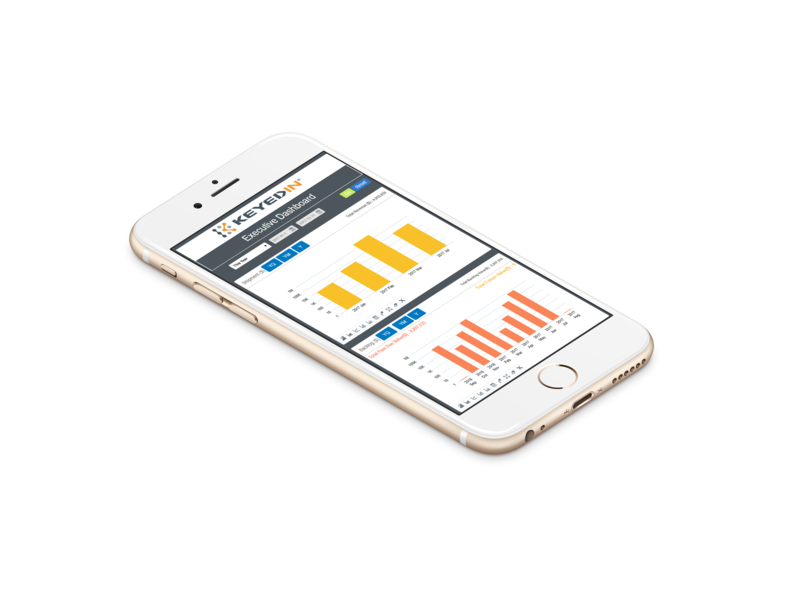 KeyedIn enables manufacturers with 24/7/365 insight into the health of their business through real-time dashboards to improve cash flow and ultimately generate more accurate and timely month-end reports.